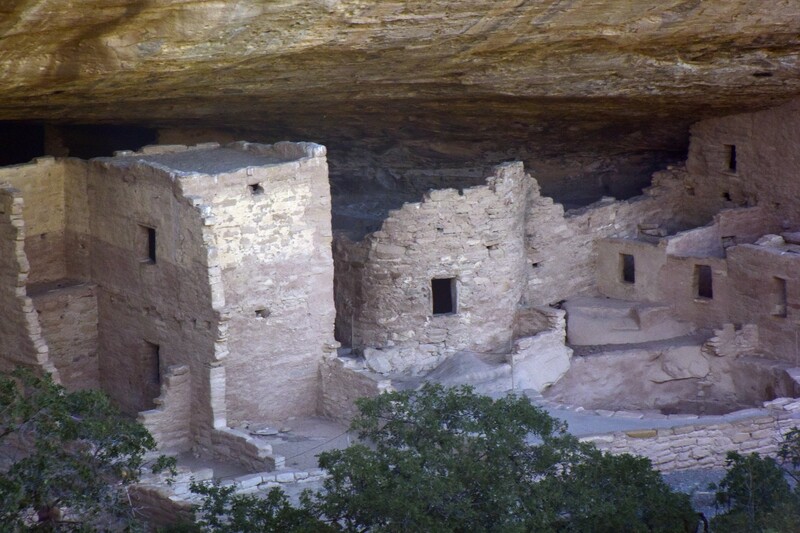 I love Mesa Verde … it is one of the wonders of the world. Here, a view of Spruce Tree House, closed, unfortunately, because of a slide into the area. Heavy rains caused it,and I hope it will be repaired soon. No damage was caused to the structure, which dates ca. 1200 a.d., but to the area where tourists – like yours truly – stand. We were there on an early morning, enjoying the quiet of the canyon into which it is built. This entry was posted in Glimpses and tagged 1 Nikon 10-100mm 4.5-5.6, Arizona, Four Corners, Mesa Verde, Nikon V3, photography, Spruce Tree House. Bookmark the permalink.